Instagram isn't the only app out there that can retro-fy your photos. Social photo-filter app Instagram has had to be camera-ready lately since it's been in the press nearly every day. First, we saw the release of the much-awaited Android app and its impressive five million downloads in the span of one week. Days later, the company was acquired by Facebook for $1 billion. Not a bad week (or year, since it was also named Apple's top app of 2011) for Instagram and its 13 employees. Instagram is known for producing "hipster photos," an appropriate term when you consider the irony involved in retro-looking images being produced digitally. Before Instagram, the look could be achieved with inexpensive analog cameras such as Lomography and Holga. Although these cameras are popular enough to be found at stores like Urban Outfitters, lugging one around, processing the photos, and then settling on a platform to share them on can be a hassle. Instagram recognized that snapping a photo with your smartphone's camera is often much easier. But Instagram isn't the only app out there that can rewind your photos 40 years; there's a slew of apps for both iPhone and Android that can do the same things—and, in some cases, even more. Many of the apps even work in tandem with Instagram, offering an arsenal of filters and effects for your photo-editing pleasure, and then allow you to export your photo to share on Instagram. Though not all of the apps are free, they're definitely worth the price of your morning coffee. We rounded up 10 awesome alternatives to Instagram that are worth a download. Know of another Instagram alternative? Enlighten us in the comments below. Hipstamatic differentiates itself from the crowd of retro-camera apps in four ways: First, it's not free; second, it features a nifty old-camera-style user interface—a spitting image of a 1970s' Kodak Instamatic camera; third, it offers group albums; and fourth, it lets you apply the effects before snapping the photo, and not after like Instagram. Users choose a "film" and a "lens" to create that classic analog look of the 60s and 70s. Hipstamatic isn't just being used to snap photos of what we ate for dinner. New York Times photographer Damon Winter used the app in his 2010 front-page photojournalism story about the War in Afghanistan. Hipstamatic also lets users buy analog prints of their best images so that works of art can live outside of the iPhone. If you're looking for more than just a photo app that lets you doll up and share your photos, Snapseed, PCMag's Editors' Choice among iPhone camera apps, is the app for you. Rated a 4 out of 5 for its non-destructive editing capabilities, powerful photo correction, localized adjustments, and variety of image-enhancing effects, the app lets you perfect and create with your iPhone photographs. Snapseed boasts Photoshop-quality editing features that it takes from its parent, Nik Software, a company that's been making pro-level effects for Photoshop for years. Snapseed expertly handles basics like brightness, contrast, cropping, and straightening. It borrows its sharpening capability from its pro-level Photoshop plug-in, Sharpener Pro 3.0, which gives users a powerful way to bring out hidden textures. Instagram has nothing on Pixlr-o-matic when it comes to the number of effects, overlays, filters, and frames the app has to offer. Either snap a photo within the app or choose from one already in your gallery. Pixlr-o-matic has more than two million possible outcomes from the 68 filters, 73 lighting effects, and 193 borders you're able to choose from. Features include: Color overlays, which help you adjust mood, amplify or cool tone, and add surreal shades; lighting effects, which can add drama, sparkle, or grunge; and borders, which add the finishing touch. Once you're satisfied with your image, you can save it back to your phone's photo gallery. The app isn't connected to your Facebook or Twitter accounts; instead, all the sharing is done through the standard Android menu. That way, you can choose from a number of apps in your phone's arsenal, which, for most Android users, includes, Gmail, Flickr, Skype, Picasa, Twitter, Facebook, and even Instagram. In fact, you might find yourself editing your photos with Pixlr-o-matic and then posting them on Instagram. Like Instagram, Picplz features a photo-sharing social network within its app. In addition to sharing with Facebook, Twitter, Flickr, Tumblr, Posterous, and Foursquare, Picplz lets users share within the app, allowing them to browse through photos of the people they follow. Enabling location lets users view photos taken in a specific city or place. 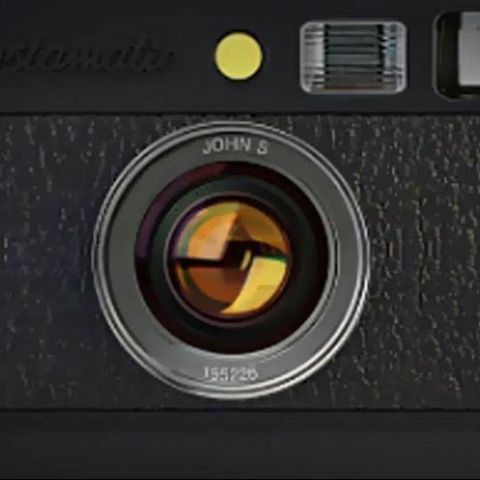 Photo filters such as Instant Film, Russian Toy Camera, the 70s, and High Contrast Monochrome, are also available for retrofying captured moments. Similar to Instagram, AOL-owned Hipster features dozens of filters and borders for your photos. You can take a photo within the app or edit a photo you've already taken with your phone's camera. The unique thing about Hipster is that it turns your photos into virtual postcards, allowing you to use geo-location to mark where you took the photo on your postcard. You can also add whatever text you want to the image and then share it on Facebook, Twitter, Tumblr, Foursquare, and Flickr. Users can connect to friends within the app and see what photos their friends are taking (and where). Of course, you can disable the geo-location feature if you don't want everyone to know where you snapped a photo. Like Instagram, Hipster has its own website for hosting your images. The beautifully designed Camera app gives users more shooting options and better effects than they'll find with the native iOS Camera app. The app's area of expertise is in shooting the best photo possible, which it does with the aid of shooting options like the stabilizer, timer, burst mode, and separate exposure and focus points. Like Instagram, users can add borders and choose from a plethora of effects, which can be added to existing photos as well. Users can share their photos on Facebook, Twitter, and Flickr, or e-mail them within the app. Though there is a shooting mode, Adobe Photoshop Express 2.0 is more about touching up and enhancing images after they've been shot rather than adding extra shooting modes the way apps like Hipstamatic and Camera do. Adobe Photoshop Express features editing basics like cropping and exposure adjustment, as well as a number of impressive effects. Unfortunately, a few of the app's best features require an in-app upgrade purchase ($4.99). Though it doesn't offer the photo-based social network you get with Instagram, Photoshop Express does offer online galleries on Photoshop.com for any photos you edit with the app. You can also upload it to Facebook or TwitPic. Streamzoo adds a social-gaming element to an otherwise ordinary Instagram-like photo-filtering app. Users can follow popular "#streams" with the use of a hashtag, and as their photos become more popular, they earn badges and compete against others. Streamzoo offers 14 filters, including Lomo, C-41, Toy Hipster, Old School, Masterpiece, and Sunshine; 15 borders, including Old Vignette, Viewfinder, Dusty, Retro, and Film; and six crop shapes. Users can share their photos on Facebook, Twitter, Tumblr and Flickr, and can add long item descriptions—divided into a title and a body—to use Streamzoo for micro- and photo-blogging. Lightbox is more than just another filter app; it's also a social network. Users can share pictures to sites like Facebook, Twitter, Tumblr, and Foursquare, but the unique thing about Lightbox is that it pulls in photos from all of these social networks to display a constantly-updating stream of 200 of your friends' photos. These photos will also be accessible whether you have a network connection or not. Users can also have their own Lightbox webpage under the URL of "Username.lightbox.com." Here, photos you mark as public will be displayed for anyone to see, like, comment on, and share with other apps. Lightbox has 17 filters, including Fisheye, 8-bit, Lomo, Ansel, and Retro, and also lets you do basic editing like cropping, rotating, and mirroring. The popular social photo site Flickr offers a mobile version which lets you shoot, upload, and geotag your photos. The app has an easy-to-use interface and acts as a simple tool for storing photos you shoot on your phone in the cloud. Additionally, the Flickr app lets you apply a few filters and a caption, and also lets you share with Facebook, Twitter, Tumblr, or e-mail. It doesn't have as many editing bells and whistles as some of the other Instagram alternatives, but if you're looking for a simple photo-sharing app that offers basic photo enhancements, this is the app for you.